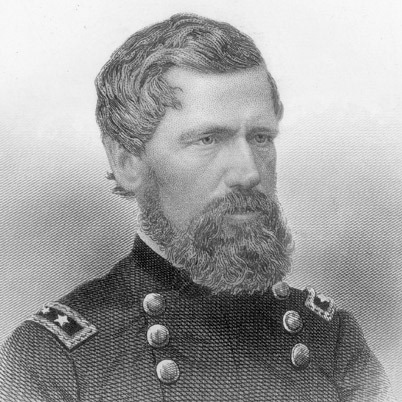 Yesterday I posted part one of a several part series about the Union Army general, Gouverneur Warren. have been writing about leadership the past couple of days and despite all that is going on in the news I think that I will continue to do so using some parts of my Gettysburg text. I think it is incredibly important to get to know the men and women behind iconic pictures, statues, and biographies that are often not much more than hagiography. In my studies I have encountered people who I find fascinating and not just because of their achievements but also due to their suffering. One of my seminary professors said that you could never come to grips with Jesus until you came to understand suffering. That is important especially when we deal with men and women who have been traumatized on the battlefield, who when they return from war they come home changed. Many are great leaders and outstanding people whose courage was proven but their lives after the war can only be considered tragic. One of these is Gouverneur Warren, one of the heroes of the Union in the Civil War, and who was instrumental in stopping the Confederate forces at Gettysburg 0n July 2nd 1863. I have written about him before, but I think now is an appropriate time to revisit his life as well as some other men who fought alongside him at Gettysburg. Thia is part two of my series about him. It is in this context that we examine Brigadier General Gouverneur Warren’s actions on Little Round Top on the afternoon and evening of July 2nd 1863, the controversy that embroiled his career and left him embittered and disillusioned at the end of the war; and even the possible explanations for what occurs to Warren during and after the war provided by modern medicine and psychological knowledge. We must do this because Warren is one of the most important people who step into history that day and because he is such a contradictory figure, to try to understand him and in doing so attempt to understand ourselves more fully. 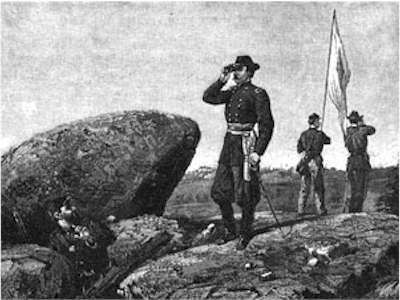 Unlike some of the other characters on Little Round Top that day, particularly Joshua Chamberlain, Warren does not engender myth; in fact some historians almost go out of their way to besmirch him, Joseph Whelan described Warren as “a fussy man who liked limericks, decidedly lacked gravitas.”  The description Warren being a “fussy man” who “lacked gravitas” is decidedly unfair for it immediately paints Warren in the mind of the reader as a man lacking in courage or fortitude and it distorts history. As I mentioned earlier when examining the evidence we have to carefully sift through it and not assume that any one characterization of a person is correct. 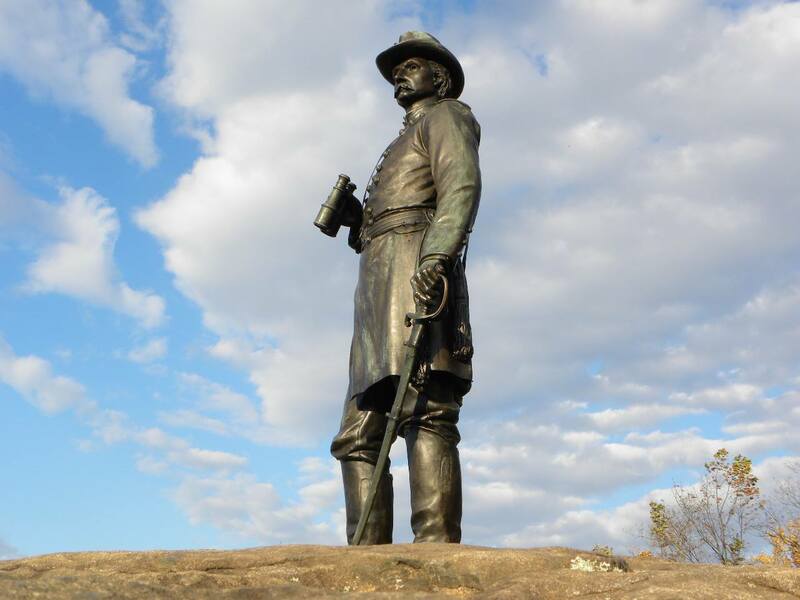 Though Warren was considered the “savior of Little Round Top” in the years immediately following the war; his story faded. In part this was due to being relieved of command of Fifth Corps by Philip Sheridan at Five Forks, something that Chamberlain and many other officers and men of V Corps “considered an unjust act made cruel by his [Sheridan’s] refusal to reconsider it.”  His story also faded because he resigned his commission as a Major General of Volunteers soon after the war, and returned to relative obscurity working as an Engineer officer along the Mississippi River. After Warren’s untimely death at the age of fifty-three in 1882, three months before he exonerated by the Board of Inquiry, he was forgotten by many. Likewise, the book he had prepared from his carefully arranged letters and reports was not published until 1932, forty years after his death. Conversely, the story and myth of his friend and defender Joshua Chamberlain story grew throughout the late 1890s and early 1900s. By then, Chamberlain, a superb writer and orator, alone of the men who made the stand at Little Round Top was still alive to tell his story, and this considerably shaped the history that we know. 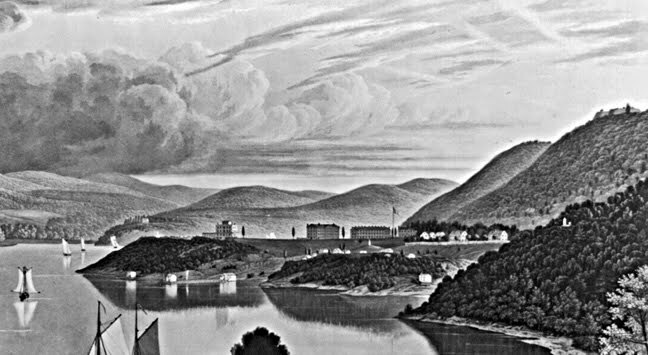 The rise of the Chamberlain account is one reason why Warren is so often overlooked by many casual students and observers of the Battle of Gettysburg. 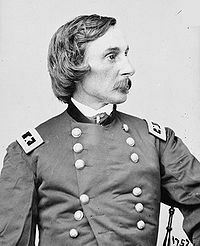 But to look at Warren’s actions is by no means to minimize the actions of others such as Colonel Strong Vincent, Colonel Joshua Lawrence Chamberlain, Brigadier General Stephen Weed, Colonel James Rice, or Colonel Patrick “Paddy” O’Rorke. All of these men played an instrumental part in the battle for Little Round Top, but only Warren, Chamberlain and Rice survived the battle, and Rice was killed in action at the Battle of Spotsylvania on May 10th 1864. For the purposes of this study it is important to note that Warren was not acting as a commander during the Battle of Gettysburg. 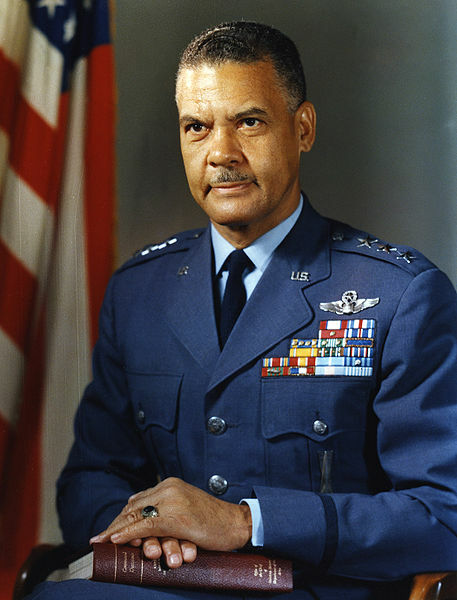 Warren was, like most senior officers today, serving as a staff officer. 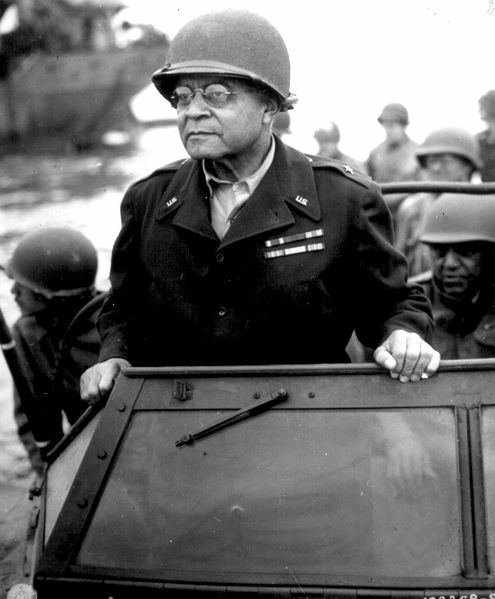 Many times students of military history and theory are inclined to dismiss the contributions of staff officers because they do not have the overall responsibility of a battle, or the glamour of the limelight of the commanders that they serve under. However, for military professionals, especially those serving on senior staffs who prepare campaign plans, contingency plans and crisis plans the study of officers like Warren is essential. The Federal Army at Gettysburg, like its Confederate opponent had a wide variety of officers serving in its ranks. 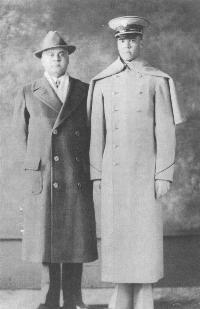 Many of its senior officers were graduates of West Point. Many had served together in Mexico and in the various campaigns against Native American tribes. Those who stayed in the Army during the long “peace” between the Mexican War and the outbreak of the Civil War endured the monotony, boredom and often miserable conditions of isolated army posts, long family separations, as well as low pay, slow promotion and often low social status. 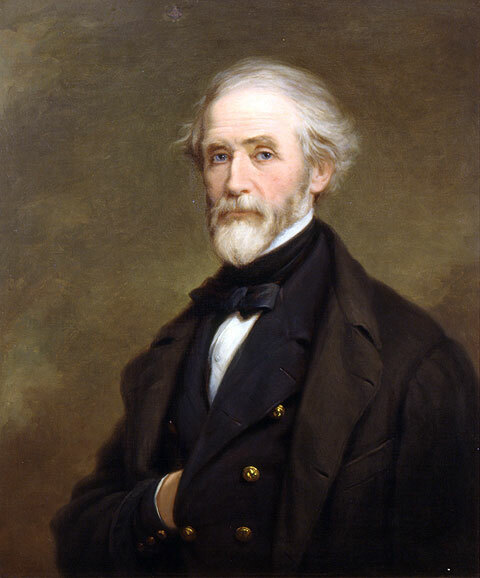 In light of such conditions, many resigned their commissions to undertake various professional, business or academic pursuits; in fact Samuel Huntington noted that in the years before the Civil War that “West Point produced more railroad presidents than generals.”  However, on the outbreak of the war, many of these graduates returned to service whether in the service of the Union, or the Confederate States. When the war began the Army underwent a massive expansion, which it met through the call of up militia and by raising new volunteer units from the various states. In the expansion many officers were appointed who had no prior military service, or if they did it was performed years or even decades before the war. Some of these men were simply patriots who rallied to the flag, others due to a sense of righteousness about their cause, while others were political opportunists or appointees. In the north this was a particular problem as “professional officers were pushed aside and passed over in the Union, the higher commissions going, in the first stages of the war at least to officers called back into service or directly appointed from civilian life, many of them “political” appointees.”  At times the lack of experience, training and sometimes the poor character of some of the volunteers and political appointees was tragic. However, many of these men in both Union and Confederate service performed as well or better than some of their regular army counterparts at various levels of command. Gettysburg would provide opportunity for the best and worst of all of these types of officers to succeed or fail. 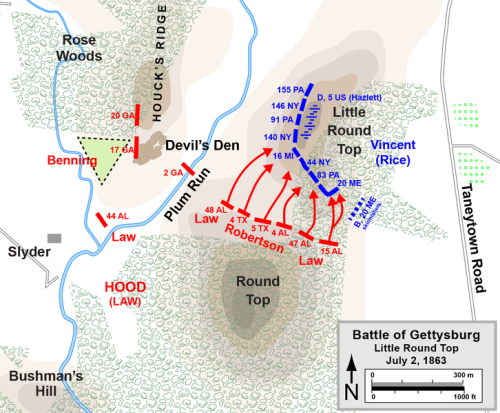 In this chapter we will look at how Warren succeeded remarkably at Little Round Top. As the Union mobilized a good number of Regular Army officers were allowed to assist the states in the formation and training of the new volunteer units. One of these officers was First Lieutenant Gouverneur Warren. On the outbreak of war Warren was granted leave from his duties at West Point to serve as Lieutenant Colonel of Volunteers in the 5th New York Infantry Regiment, also known as the Duryee Zouaves. When Abraham Duryee was appointed as a Brigadier General, Warren became the Colonel of the regiment. 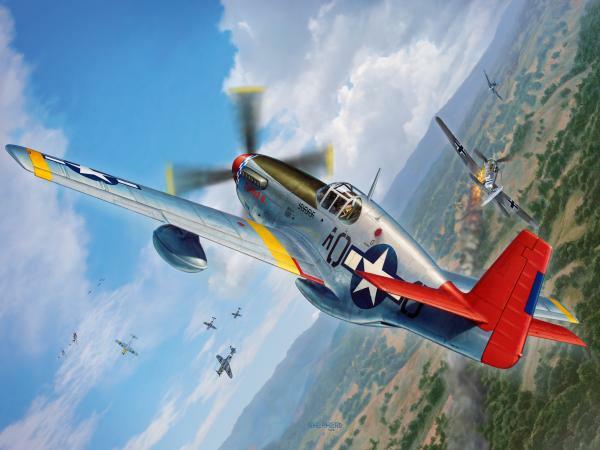 Warren described the action to his wife “Nothing you ever saw in the pictures of battles excelled it. The artillery which had been firing stopped on both sides, and the whole armies were now spectators. In less than five minutes 140 of my men were killed or wounded and the other regiment completely destroyed. Warren and his men received many accolades that day. George McClellan credited them with saving the Union left and said that Warren “was everywhere conspicuous on the field, and not only directed the movement of his own brigade, which he handled with consummate skill, and placed in the most advantageous of positions, where they could produce the most effect on the enemy, but directed the movement of other regiments.”  and during the action Warren suffered a slight wound from a spent bullet and had his horse shot out from under him. Warren’s tiny provisional brigade composed of his 5th New York and the 10th New York was at Second Manassas where they had the bad fortune to be on the exposed Federal flank when Longstreet’s massive attack rolled over them. Warren and his brigade were left to protect the Fifth Corps artillery and trains when that corps was ordered by John Pope to attack Jackson’s corps, and John Reynolds’ division was ordered to withdraw leaving the Fifth Corps’ flank uncovered. On his own initiative Warren moved his brigade to protect the flank when Longstreet’s massive blow hit. Alone the two regiments, numbering about 1100 soldiers were overwhelmed in what one soldier called “the very vortex of hell.”  Robert E. Lee had drawn Pope into a trap and was poised to destroy his army. Longstreet’s corps led by Hood’s Texas brigade struck Warren’s troops and the 10th New York fell back as Warren and the 5th New York hung on long enough for artillery to limber up and withdraw, but they too were forced back with heavy losses. The 10th New York lost 133 killed and wounded, the 5th New York over 300 more. 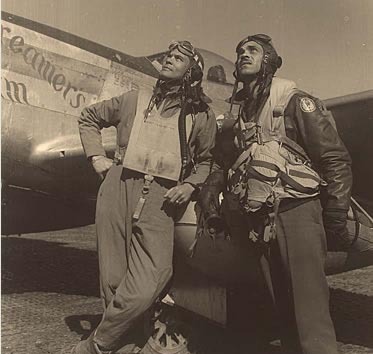 Warren wrote “Braver men than those who fought and fell that day…could not be found. It was impossible to do more.” A member of Fifth Corps wrote that “Warren’s regiment and brigade, commanded by him, sustained heavier losses than any command on that disastrous field.”  However, Warren’s gallantry was rewarded with promotion to Brigadier General effective September 26th 1862. Taylor, John M. Duty Faithfully Performed: Robert E Lee and His Critics Brassey’s, Dulles VA 1999 pp.37-38.